The International Ocean Discovery Program (IODP) is an international marine research program that explores Earth’s history and structure recorded in seafloor sediments and rocks, and monitors subseafloor environments. IODP builds upon the earlier successes of the Deep Sea Drilling Project (DSDP), Ocean Drilling Program (ODP), and Integrated Ocean Drilling Program (IODP) which revolutionized our view of Earth history and global processes through ocean basin exploration. IODP greatly expands the reach of these previous programs by using multiple drilling platforms, including riser, riserless, and mission-specific, to achieve its scientific goals. Four principal themes are outlined in the Science Plan “Illuminating Earth’s Past, Present and Future” (Jump to IODP website) for the International Ocean Discovery Program 2013-2023. Information on the former program of Integrated Ocean Drilling Program 2003-2013 is available at the IODP website (Jump to IODP website). The IODP Forum is a venue for exchanging ideas and views on the scientific progress of the International Ocean Discovery Program. 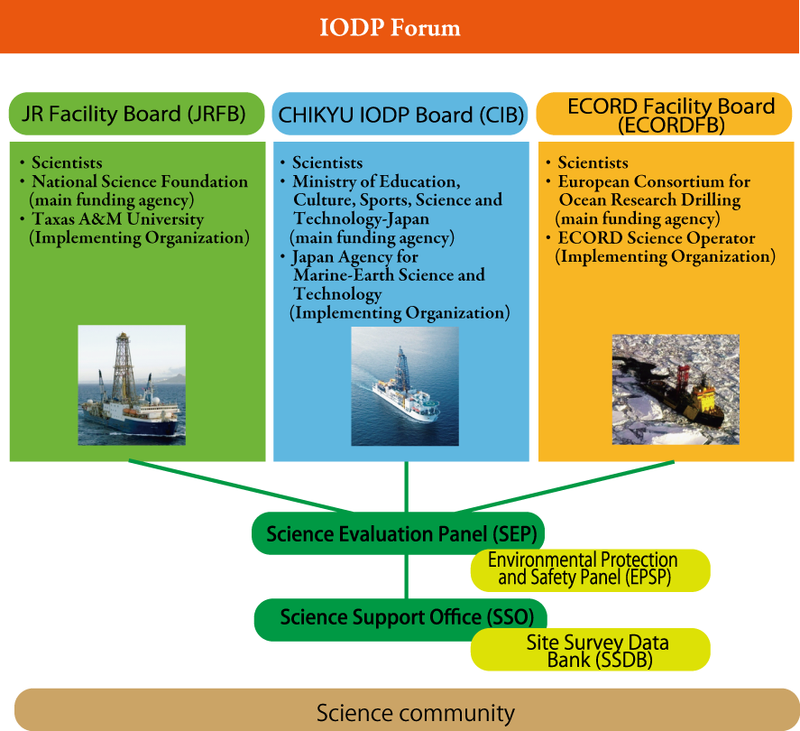 The Forum is the custodian of the Science Plan and provides advice to IODP Facility Boards on Platform Provider activity. IODP Forum membership is open to all countries, consortia, or entities that provide funds to IODP platform operations.